They keep your boat, and therefore you, safe. They can save you hefty repair bills. They keep your boat looking good. 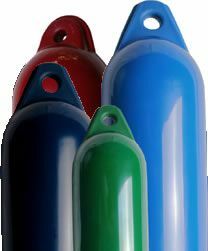 Boat fenders are an essential part of any boat's equipment, so it's worth taking the time to get exactly the right product for you. 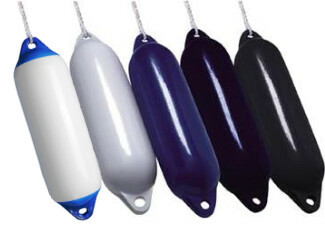 At Compass Marine we offer a great range of fenders with the largest range of colours available in the UK, so you can be sure we have the right product for your boat's size, livery and mooring. From Holland we have the extremely popular, Majoni Heavy Duty Solid Eye Fender and Majoni Star Fenders. 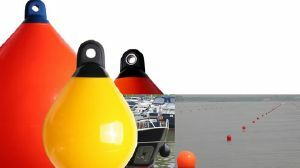 The round Majoni Solid Eye Buoys are perfect for your boats bow or stern, and the excellent Majoni Chubby Fender are ideal for low freeboard boats and smaller vessels. 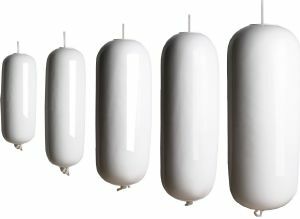 We also stock the F Series Solid Eye Fenders and A Series Solid Eye Buoys from both Polyfom Norway and Polyform US. Simple, replaceable brass valve for inflation. Robust brass adaptor available (£3.50). 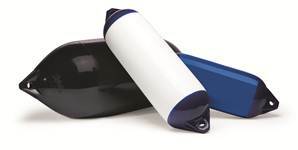 High quality utility fenders, moulded in a single piece. 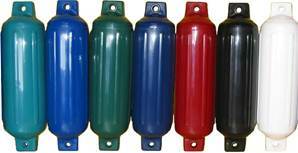 Great range of colours, guaranteed not to mark. Replaceable brass valve for inflation. Great finish and available in black, navy and white. 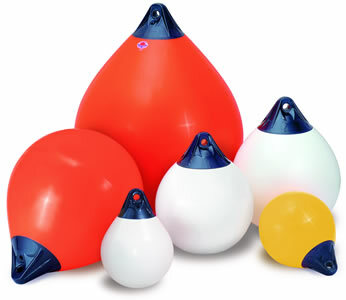 High quality fenders, suitable for any size of boat. 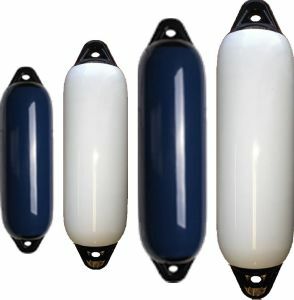 Short fat fenders which are perfect for low freeboard boats. 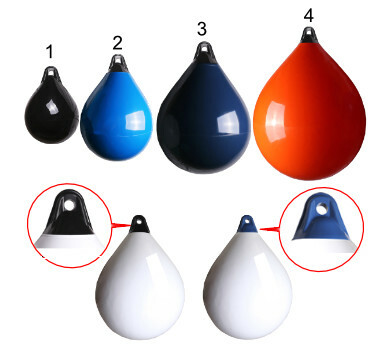 Use on the bows with or instead of round fenders. Can even be used as dinghy rollers! Available in white, navy, black and orange guaranteed not to mark. Extremely durable and able to stand up to the demands of the roughest conditions. Hole Through Middle Fenders are incredibly versatile, use vertically or horizontally. No eye, so no weak point which can be 'dragged'. 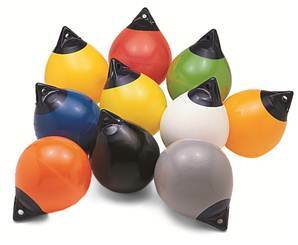 Round fenders for bow or stern protection with solid, moulded in eye. 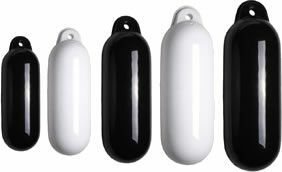 Huge range of sizes and colours, guaranteed not to mark your hull.